Departure Points: Paris, Le Havre, Honfleur, Caen, Bayeux, Cherbourg. The Private Normandy Tour of the British and Canadian WWII Sectors Includes: Private transportation, guide service, taxes, tolls, parking. Enjoy this memorable private Normandy tour, featuring the D-Day sites of the British and Canadian WWII sites. Your private Normandy tour of the British and Canadian WWII sectors begin with a drive along shore and stop at Juno Beach Beach, where the British and Canadians landed. In your guided tour of Juno beach, you will visit the old house that has original photos of some of the Canadians who landed here. Lunch stop is at Quistreham (port in Caen), the port where ferries from England come in. You will drive along the shore here, enjoying a picturesque landscape studded with small stone village houses, on the way to Pegasus Bridge in the British sector. Here, glider-borne troops made a daring assault on this and other vital bridges connecting important waterways. You will learn more at the museum at Pegasus, dedicated to this military feat. Your private Normandy tour also includes Calvados (home to Normandy’s famous apple brandy), in Beuvron-en-Auge, a picturesque village. The hilly town, dotted with cows and apple trees, still has half-timbered houses, typical in Normandy before the war. 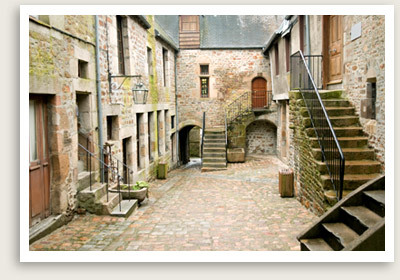 Your private Normandy tour takes you to the charming port town of Honfleur. Located on the Seine estuary, Honfleur has an unforgettable ambiance that has inspired artists, writers and musicians for centuries – notably impressionist painters Eugène Boudin and Claude Monet. You will enjoy a short stroll around the old dock, where fishermen unload their fresh catches every day. Customize this private Normandy tour to include your choice destinations.